Mi Box Pro is the world's first 4K Ultra HD Android-powered set-top box, and it's 3x faster and much slimmer than its predecessor. 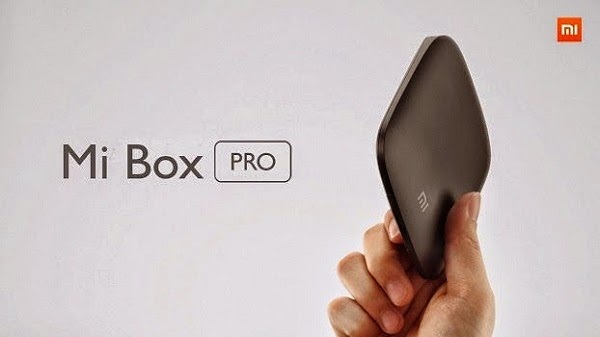 Xiaomi brought many changes in the Mi Box Pro when compared to it previous edition of Mi Box.Some of the changes include: Small in size, 3rd party apps installation, Micro SD Card slot & USB interface. Xiaomi Mi Box Enhanced supports 4K Ultra HD with resolution of 3840 x 2160 pixels. Four times of 1080p (Full-HD). By connecting Ultra HD 4K TV and Mi Box Enhanced with HDMI cable, we can watch our 4K Ultra HD movies locally or through network. Experiences new level of visual sensation with 4K TV. Mi Box Enhanced upgrades its CPU and Graphic Processor Performance to a new level, allow users to experience smooth game playing. Meanwhile, for such powerful performance, we also added several games that fit perfectly with the TV screen. Just simply connect Mi Box Enhanced with TV and Bluetooth handset, and you can enjoy the gaming fun with your family. Supports wireless TV projection from Xiaomi phones, iPhone, iPad, and pictures from PC.